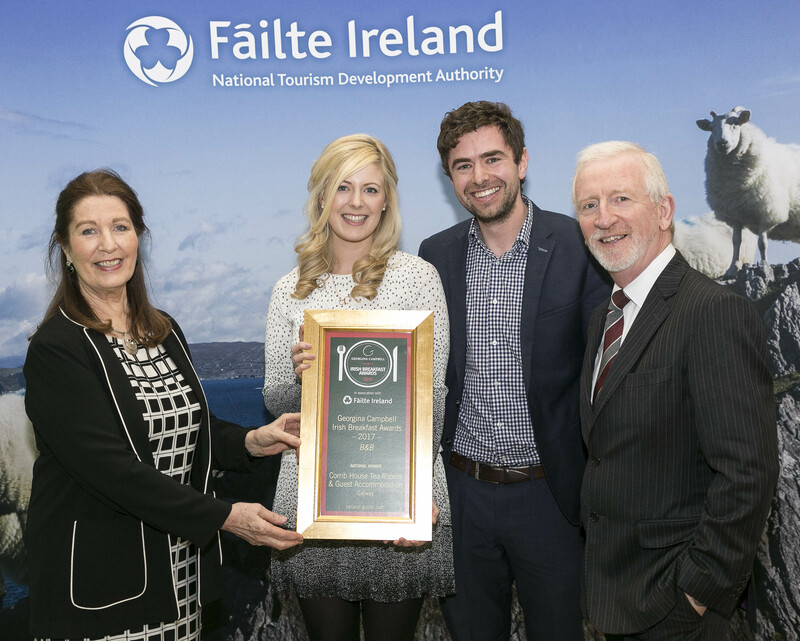 We were all absolutley delighted here at Corrib House to receive a national award at the recent 2017 Irish Breakfast Awards held at the Intercontinental Hotel in Dublin. 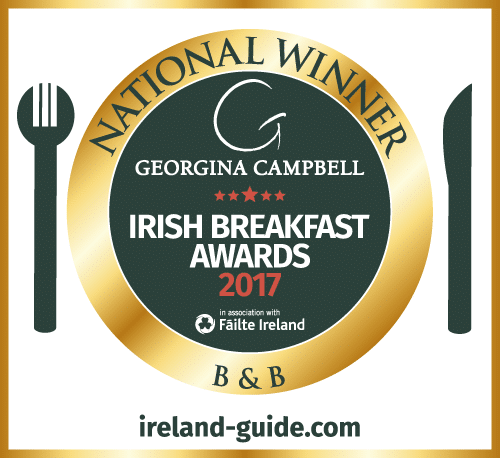 Corrib House was awarded the “best breakfast in Ireland” award in the Bed and Breakfast category. A little snippet below from Georgina Campbell’s Ireland guide press release on the day. All the staff here were absolutley delighted with such a great accolade. “Victoria and David Bohan’s handsome waterside Georgian house in the heart of Galway was sensitively restored before opening as Tea Rooms and Guest Accommodation in 2011. Excellent breakfast and brunch menus are offered and pride in provenance is seen in the supplier list given on all menus. 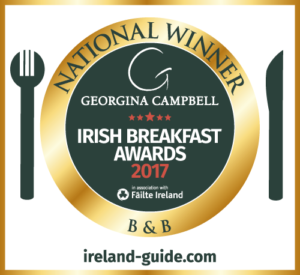 The day begins early, with tempting breakfast offerings such as Kilbeggan porridge with banana and cinnamon, buttermilk pancakes with maple syrup, free-range scrambled eggs on toasted sourdough and the traditional ‘full Irish’ and variations. Breakfast is lovely (no sliced pan here) and, at weekends, an extended version is offered as a brunch menu through to mid afternoon. Breakfast is included in the room rate, of course, but it is also available to non-residents so items are individually priced. 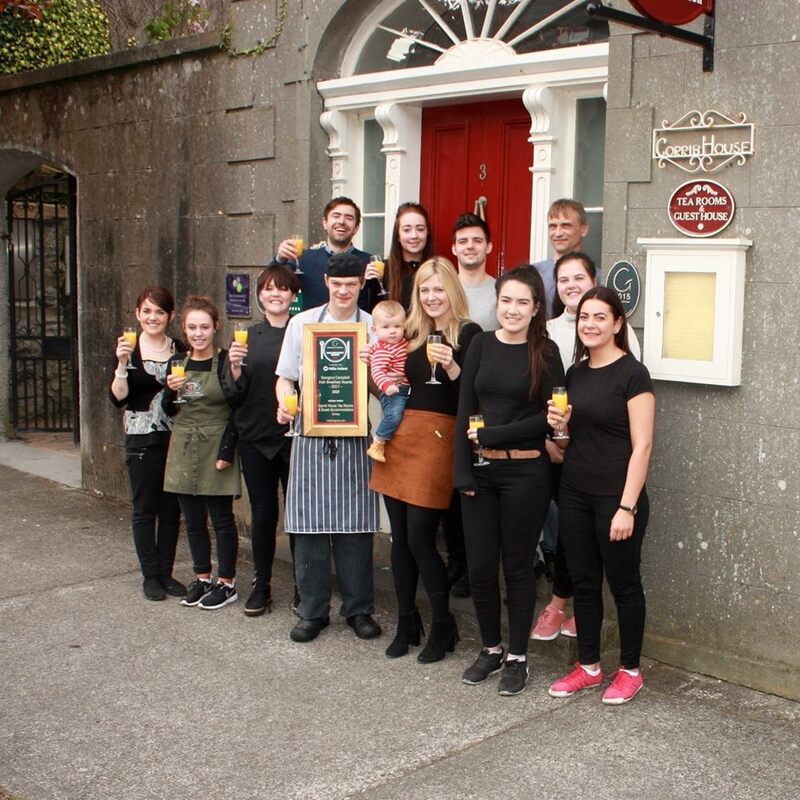 This is one of Galway’s most special daytime dining destinations and a visit to this delightful spot on the Wild Atlantic Way is always sure to be enjoyable.